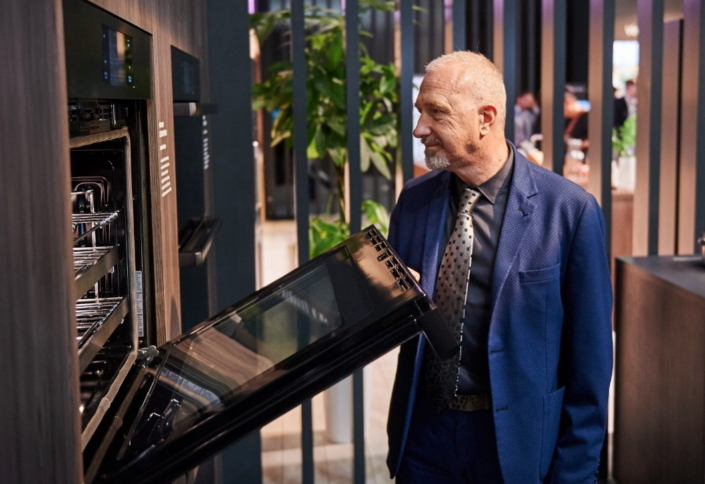 In its debut exhibition at the biennial EuroCucina 2018, Samsung Electronics showcased its full range of premium built-in appliances that bring benefits to consumers through cutting-edge designs and heightened connectivity. The event took place at the Salone del Mobile, Milan, April 17-22, where more than 300,000 visitors were expected to attend. Last year Samsung’s European home appliances business grew five times faster than the market. As a result of this momentum, Samsung participated in EuroCucina 2018, a showcase for new trends, designs and technologies for European kitchens. The European built-in market is worth $18.5 billion annually, accounting for 40% of the global built-in market. Samsung’s premium built-in appliances, equipped with and IoT technology, are positioned at the center of the market. 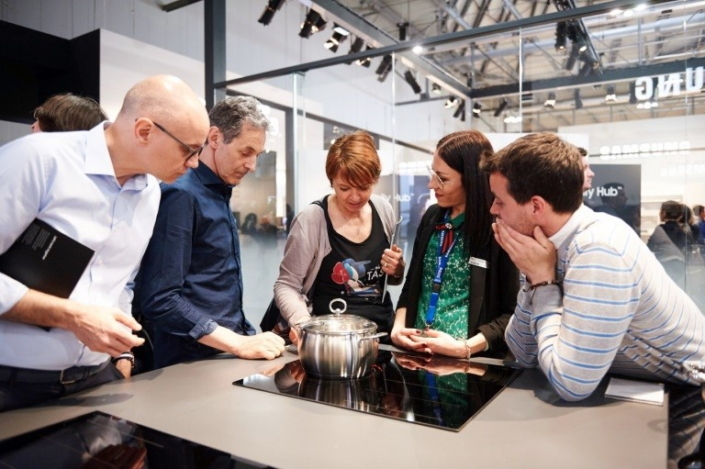 The opportunity to experience the kitchen of the future at the Samsung booth attracted the attention of many visitors at the exhibition. Samsung displayed its full built-in product lineup at EuroCucina. The range included its Twin Cooling Plus™ technology refrigerator, Virtual Flame™ cooktop and Waterwall™ dishwasher. 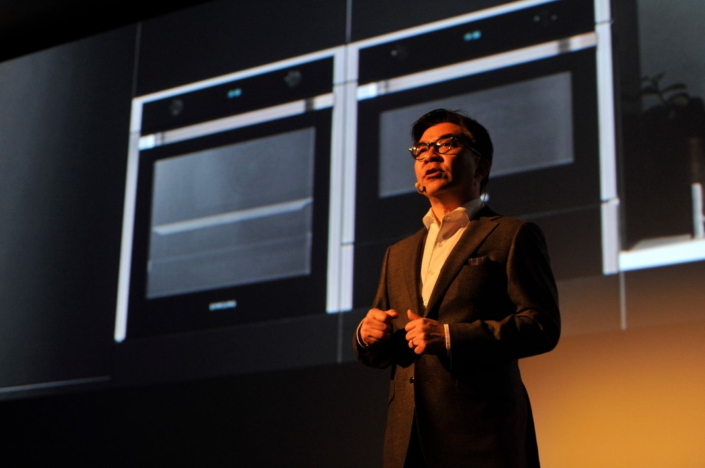 The company also unveiled the new Dual Cook Flex™ oven at the event. The Dual Cook Flex™ zone highlighted how the oven can adapt to the needs of its users. Its innovative Dual Cook technology, for example, allows independent access to the upper oven compartment without compromising on cooking performance in the lower compartment. With research indicating that European oven users are cooking multiple dishes simultaneously three times a week on average, the oven’s Dual Cook system allows users to set different temperatures and time settings for each compartment, giving them greater control over simultaneous cooking. Dual Cook Flex™ offers a range of IoT features. Consumers can remotely preheat, monitor and control the oven from anywhere with the SmartThings app. What’s more, the Cooking Guide makes setting recommendations based on ingredients and type of food being prepared. The booth also demonstrated how Samsung’s industry-first innovations in the home appliance market provide a seamless experience and make a real difference in the kitchen. Samsung’s Twin Cooling Plus™ technology, which independently controls the refrigerator and freezer, was showcased in a transparent display to best illustrate how the system works. There were also zones exhibiting the Virtual Flame™ cooktop, an induction stove that mimics the appearance of flames to provide more intuitive visual control over the heat, and the WaterWall™ dishwasher that delivers remarkable cleaning results with a streaming wall of water. As people spend more of their time at home in the kitchen, and the space fulfills more roles than ever before, smart technology has become increasingly more important. Yet digitization of the kitchen has been slower than other key spaces of the home. 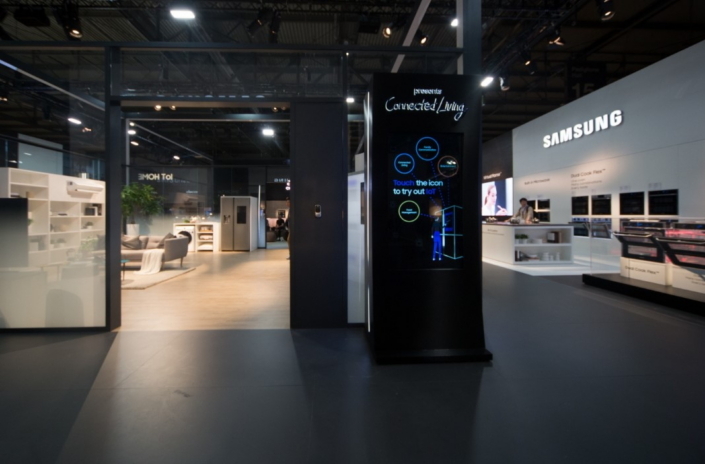 In addition to exhibiting the IoT capabilities of the Dual Cook Flex™ oven, Samsung demonstrated the seamless connectivity of key home IoT products at EuroCucina 2018. On display was the latest generation of Family Hub integrated with SmartThings, Samsung’s IoT platform, which offers seamless connectivity between any IoT device using one app and a single cloud that manages all your devices. The smart refrigerator provides a center point for connecting all devices in the home, and is equipped with features such as Bixby, Meal Planner, Shopping List and Recipes to enhance your smart cooking experience. Recent strides towards connectivity and innovation have resulted in 90 percent of Samsung products, including smartphones and TVs, being IoT-applicable. Thanks to the company’s collaborative efforts based on the Open Connectivity Foundation, the SmartThings ecosystem is operable and compatible with even more devices and brands. “We are fully committed to ensuring that all our products are not only IoT ready, but also intelligent by 2020,” said HS Kim, President and CEO of Samsung’s Consumer Electronics Business, at the press conference on April 18th. 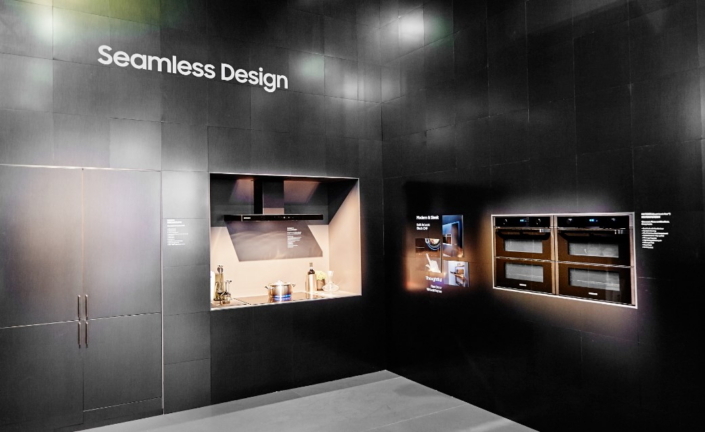 With premium designs such as Samsung’s black stainless-steel built-in packages, the exhibit modeled the streamlined look of the modern kitchen, which couples elegant design with intelligent technology. Based on a philosophy of thoughtful design, today’s kitchen embraces simplicity, timelessness and an aesthetic that emphasizes minimalism while maximizing usability. This “Flat Design” favors clean lines, hidden displays and seamless integration. Samsung’s built-in appliances, such as its premium flat design refrigerators, have a precision engineered flat face which sits flush to the counter front. Samsung Electronics acquired the luxury US built-in brand ‘Dacor’ in 2016 and has worked with various other partners, such as Nolte in Germany, Scavolini and Veneta Cucine in Italy to increase the competitiveness of premium built-in appliances as part of the company’s commitment to ‘bring the kitchen to life’. 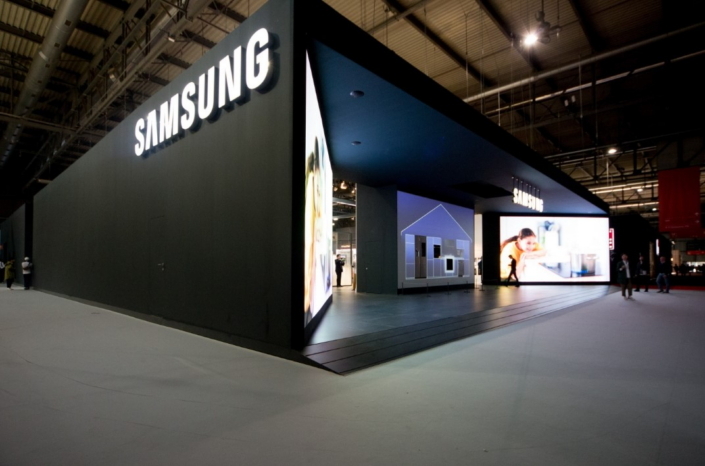 As well as displaying the ‘Dacor Modernist Collection’, Samsung also collaborated with numerous European luxury brands such as Nolte at this exhibition. Amongst these designs, the Dacor built-in refrigerator, which imbues a sense of luxury with its porcelain inside, has attracted significant attention. Integrating smart technology with appliances and pursuing further innovations will transform the way we cook and interact in the kitchen, as Samsung aims to provide a more seamless, connected experience throughout the home.